Join us in Vancouver, MARCH 2, 2019! Our fair is Canada’s leading recruitment event for newcomers to Canada. Attend this event to meet with leading companies , get Visa and Immigration Advice, Career Services, Education and English Language Testing, Foreign Credential Assessment and Settlement Services. Pre-register now for FREE ENTRY online before March 2 or register for $10 at the door. 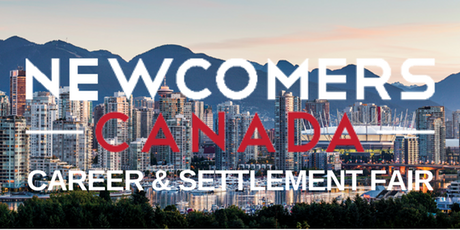 The Newcomers Canada reRoute Global Talent Expo VANCOUVER will bring together a broad spectrum of information, products and services relevant to you as a newly arrived or settled migrant in Canada. All under one roof!